The rings around the opening at the top of a torah cover serve a few purposes. They protect the etz chaim of the torah, and they reduce wear on the torah cover. The cover may be enhanced with beautifully made, hand turned wooden rings (without this customization, plastic rings are standard). 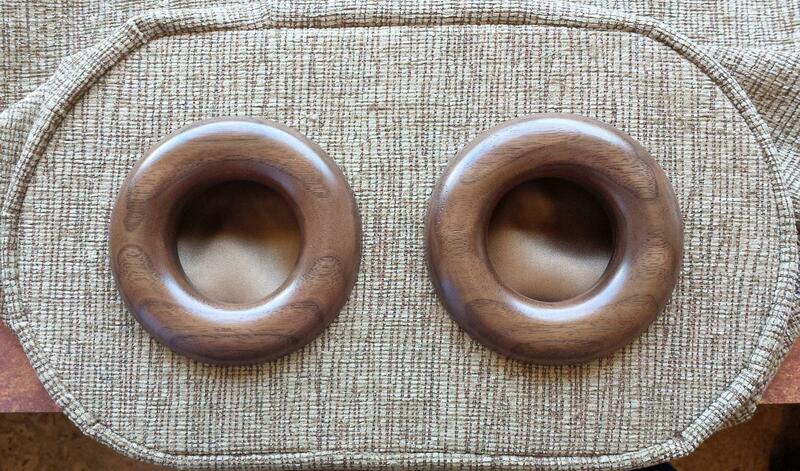 For everyday mantles, we can add dark brown, walnut rings. 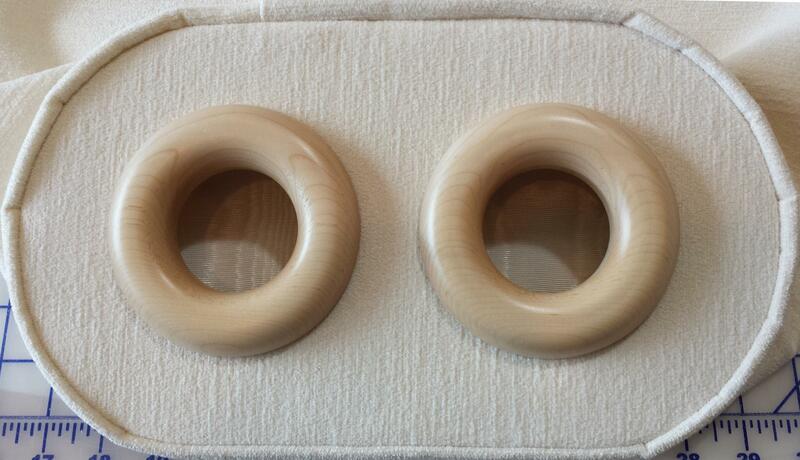 For the High Holiday covers, we can add light colored maple rings. We are located in Tucson, Arizona, where the local time in Tucson is 5:39 PM.